Welcome to the second guest blog post of Time Out Sydney's 52 Weeks of #SydCulture 2017 challenge! Every Tuesday of January, curator and City of Sydney councillor Jess Scully is telling us what she loved the week before. Think of it as your recommendations for this week, from someone who sees a helluva lot of arts and culture. Over to Jess. Scent of Sydney, by artist Cat Jones, captures the evocative connection between smell and memory, and even re-creates my most-favourite, least-favourite smell, that brewery haze, thanks to the recollections of academic Dr Michael Darcy. Seated at hexagonal tables, I put on headphones and listened to stories from a cast of Sydneysiders. Auntie Fran Bodkin shared memories of sharks and eels shimmering across a waterway, and as she talked, I cradled a stoneware cup to my face, native frangipani plunging me into a distant summer. Journalist Patrick Abboud took me into the West, potent za’atar, sesame, olive oil, and baking bread smells somehow captured in the oil in the saucer, while the sounds of a busy street filled my headphones. Two senses are enough to spin a whole story and create an image: which made me wonder about the layers of history and experience we lose in our inability to think beyond the visual. 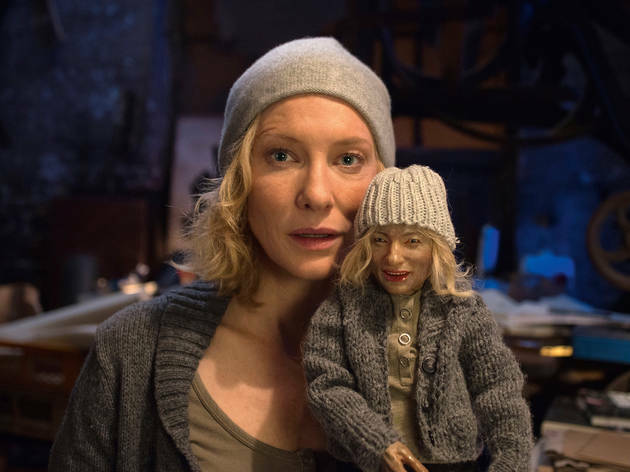 Another immersive, free experience this week, this time at the Art Gallery of NSW: Manifesto, a genuinely epic video work by German artist, Julian Rosefeldt, starring Cate Blanchett at her chameleon best. I keep coming back and bringing friends to see this work, and I fall in love with something new every time. Rosefeldt has created 13 films in which Blanchett, hurtling from wasted British rocker to exhausted trash worker, polished news anchor to demanding European choreographer, voices the dreams and grand visions of thinkers from Karl Marx to artist Claes Oldenburg. (A linear feature film version of Manifesto is premiering at Sundance Film Festival this month). Some manifestos are hopelessly distorted when pulled from their context; for others, their timelessness and essential truths shine through when reinterpreted. The moments when the videos sync up, and a chorus of impassioned Blanchetts glare out from the walls, their words melding into one wail of discontent, are transcendent. It's not clear whether the artist is reframing these movements with admiration or derision, and I think about the courage that would be required today to make such bold statements, to claim positions, on anything from aesthetics to politics. Are we living in the post-manifesto age? Are we too cynical to proclaim our ambitions, too disappointed in past revolutions to imagine we can shape the world anew? Do we want the “likes” too much to dare to stand apart? Manifesto runs until February 19 at the Art Gallery of NSW; Scent of Sydney runs until January 29 at Carriageworks, as part of Sydney Festival. Both are free. Jess Scully is a curator who uses creativity to engage communities in the knowledge economy. She was the founding curator of Vivid Ideas, and has worked as a policy advisor, public art curator, radio host and magazine editor. Jess is passionate about cities and city-making, and was recently elected as a Councillor for the City of Sydney.